"One should either be a work of art, or wear a work of art." - Oscar Wilde. "If you are out to describe the truth, leave elegance to the tailor." - Albert Einstein. "The finest clothing made is a person's skin, but, of course, society demands something more than this." - Mark Twain. TRADITIONAL TAILORING is called bespoke tailoring in the United Kingdom, where the heart of the trade is in London's Savile Row, and custom tailoring in the United States and Hong Kong. This is unlike made-to-measure which uses pre existing patterns. 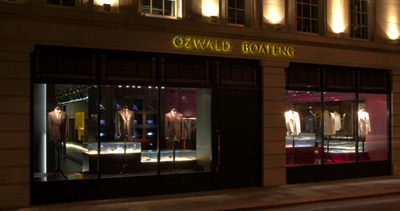 A bespoke garment or suit is completely original and unique to each customer. BESPOKE is a term employed in a variety of applications to mean an item custom-made to the buyer's specification. 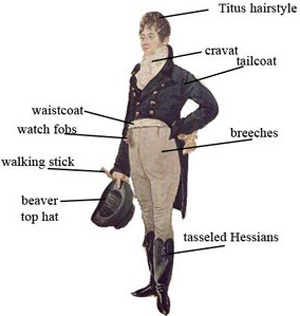 While applied to many items now, from computer software to luxury car appointments, the term historically was only applied to tailored clothing, shirts and other parts of men's apparel involving measurement and fitting. The distinguishing points of bespoke tailoring are the buyer's total control over the fabric used, the features and fit, and the way the garment should be made. More generally, bespoke describes a high degree of customisation, and involvement of the end-user, in the production of the good. READY-TO-WEAR, or prêt-à-porter, is the term for factory-made clothing, sold in finished condition, in standardized sizes, as distinct from made-to-measure or bespoke clothing tailored to a particular person's frame. Ready-to-wear has rather different connotations in the spheres of fashion and classic clothing. In the fashion industry, designers produce ready-to-wear clothing intended to be worn without significant alteration, because clothing made to standard sizes fits most people. They use standard patterns, factory equipment, and faster construction techniques to keep costs low, compared to a custom-sewn version of the same item. Some fashion houses and fashion designers produce mass-produced and industrially manufactured ready-to-wear lines, while others offer garments that, while not unique, are produced in limited numbers. BLACK TIE - definition & explanation. CARY GRANT'S "NORTH BY NORTHWEST" SUIT - Cary Grant's Kilgour suit in the 1959 Hitchcock thriller film North by Northwest. CLOTHES ON FILM - "Screen style, costumes and identity in movies." Drape Cut Explained - "The English Drape cut is a style for single breasted and double breasted jackets or topcoats featuring fullness across the chest, forming vertical wrinkles, as well as over the shoulder blades." Guide for suits - Which Cut is for You? 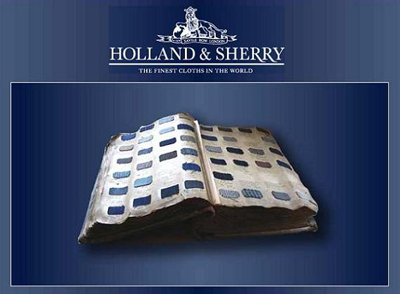 Holland & Sherry - since 1836. "The Finest Cloths in the World." Offering a diverse range of clothes that can be delivered anywhere in the world. 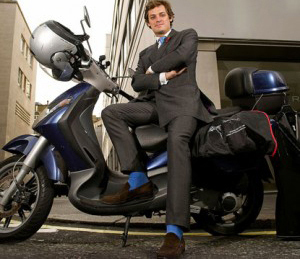 INTRODUCTION TO BESPOKE - Timothy Everest, MBE. INTRODUCTION TO MADE-TO-MEASURE - Timothy Everest, MBE. INTRODUCTION TO READY-TO-WEAR - Timothy Everest, MBE. RCMTM - "Global Senior Custom-made Suite Supplier Platform." THE BEST MEN'S SUITS - Forbes.com. THE RAKE MAGAZINE - "The Modern Voice of Classic Elegance". The Solaro Suit - The Journal of Style. WHITE TIE - definition & explanation. ALAN FLUSSER BESPOKE - "Permanent Style." New York City. BARRINGTON AYRE - "Luxury Made in England." Bespoke & tailored shirts. BRIONI - since 1945. "Brioni Bespoke service is available for suits, tuxedos, jackets, coats, formal shirts and ties." Bruli - Swiss Made - "My Shirt." 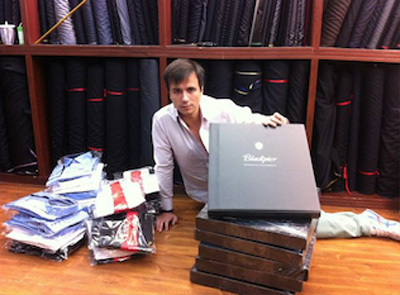 We offer tailor made shirts to our most demanding customers. Unlike other companies, our philosophy is to provide truly custom service. Each individual part of the shirt can be changed and customised. The customer not only has a piece of clothing made according to his perfect size (taken from measurements) but it will also be made according to his choices of buttonholes, buttons, stitching, collar size, etc. BYRNE & BURGE - 11 St. George Street, London, U.K. Made to order shirts. D’AVINO SHIRTS - "The Zenith of Visiting Italians." Visits London regularly. 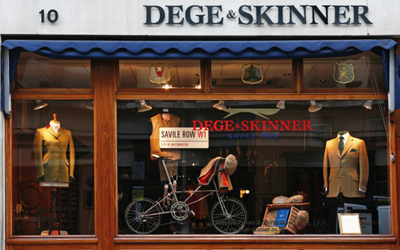 DEGE & SKINNER - Savile Row bespoke shirt making. 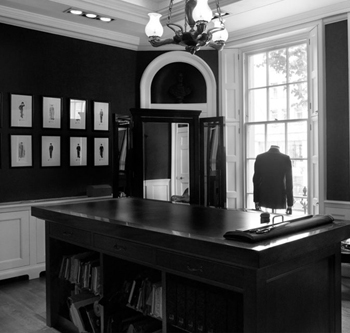 EMMETT LONDON - 112 Jermyn Street, London, U.K. Emmett is at the forefront of Made to Measure shirts with over 500 fabrics and 60 collar/cuffs combinations to choose from. Our made to order service allows us to tailor to your needs where you are able to turn a shirt into something that is truly personal to you from fit to fabric. Ettemadis - The Hague, The Netherlands. "Our bespoke shirts have been the cornerstone for Ettemadis and are the backdrop to our suits. Carrying the best cloth and offering limitless choice in collars and cuffs for all of the different faces and contexts." GIORGIO ARMANI - the Armani Collezioni Made To Measure collection is available in Armani Collezioni stores and select department store areas. 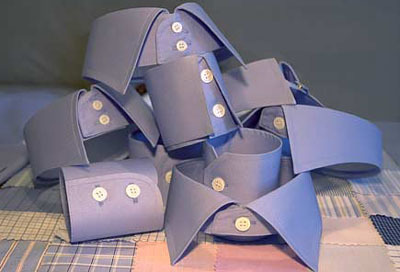 J. LUCAS CLOTHIERS - "Custom Made Shirts for Men and Women." 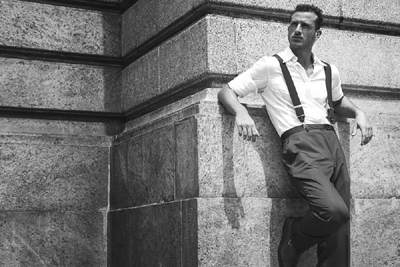 Le Noeud Papillon - "Bespoke & Made To Measure Shirts Using Fine Cotton." From standard plain and twill weaves right through to Sea Island fine cotton shirting, we have all fabrics available to us from the best mills in England, Italy and Switzerland. Lewis & Taylor - Custom Dress Shirts. "We are based in Hong Kong, which is a global centre of excellence for custom dress shirt manufacture with access to the best 2 ply cotton from Europe and Asia. We use only the best fabrics such as Thomas Mason and Monti to ensure that you feel great wearing your custom designed shirt. We look to focus on the needs of the shirt wearer with an emphasis on classic styles. Our customers are mainly in the USA, Canada, UK and Australia but we get requests from all over the world." loro piana - since 1924. "The classic made-to-measure service extends to formal shirts that can be made from a choice of more than 500 of the finest fabrics in the best cottons and linens available on the market and further personalized by a choice in collars, cuffs, fits, and the addition of a personally embroidered and discreetly placed monogram." Mason & sons - "Michael Fish was one of the most famous shirtmakers in the world, famously fitting Sean Connery with his cocktail-cuff shirts for his inaugural role as James Bond in "Dr. No". The Mr. Fish X Sinclair collection of shirts are available in three cuff types, two lengths, and in a choice of white or blue fine-twill cotton." 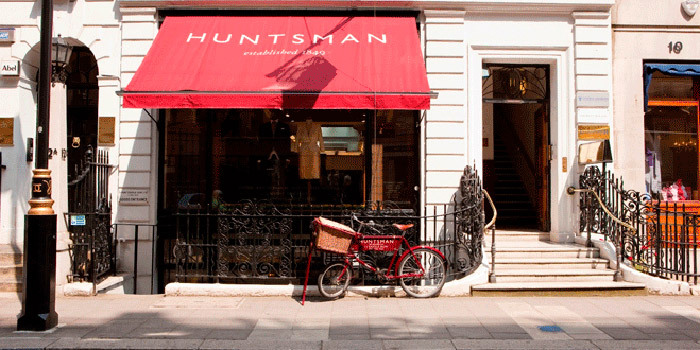 MASTER TAILOR - "The shirts are tailored to the high quality standards of Jermyn Street by one of Europe's top shirt houses using the latest cutting and production technology." NERONOTE - "Your perfect Italian shirt." The design-it-yourself shirt. 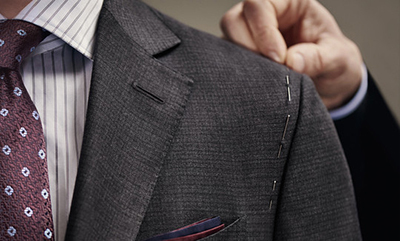 Made-to-measure comfort and personalised design made easy and convenient. Made in Italy, just for you. 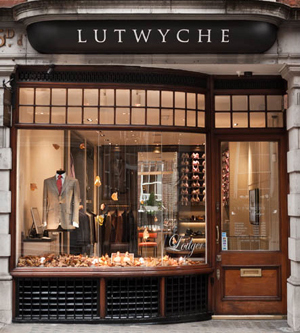 NEW & LINGWOOD - 53 Jermyn Street, London, U.K. "Experience the luxury and pleasure of the perfect fitting shirt." 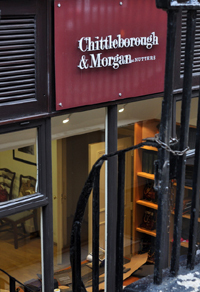 NORTON & SONS - since 1821. 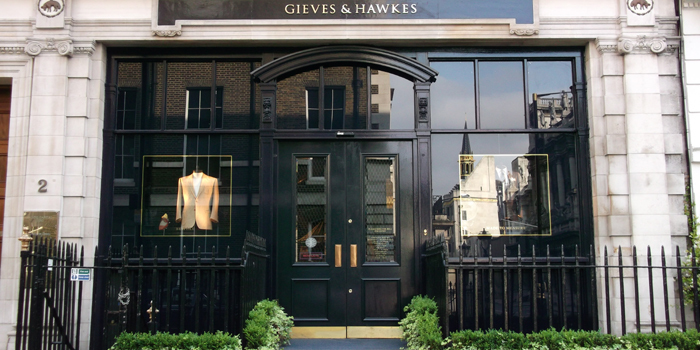 6 Savile Row, London W1S 3PL, U.K. "To complement our bespoke tailoring we offer made to measure and bespoke shirt-making services. Our shirt-maker has over 30 years experience and our shirts are cut from a hand drafted individual pattern." Piacemolto Milano - "Create your own shirt." Design your own Piacemolto shirt in just 5 simple steps. SEAN O'FLYNN - "Making Shirts for Over 35 Years." A Sean O'Flynn shirt is a truly bespoke garment, constructed using the traditional techniques and processes of Jermyn Street . Every customer is fully measured, followed by a consultation that includes a discussion on style , fit and the selecting fabric. Sean then personally drafts the customer's own individual paper pattern. A sample shirt is made, with the customer returning for a fitting, once the shirt has been worn and laundered. If required at this point, Sean will amend the customer's pattern. Signature Bespoke - "Luxury Bespoke Clothing." With branches in Liverpool and Savile Row, we offer made to measure, luxury, bespoke clothing for men, including suits, shirts and shoes. STENSTRÖMS - "With our Custom Made concept we give you the opportunity to create your own Stenströms shirt according to your personal measurements and preferences." 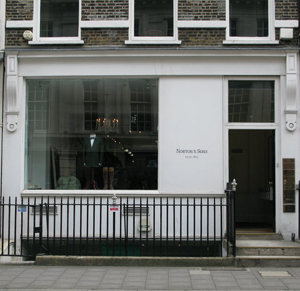 STUART LAMPRELL - 6 Sackville Street, London, U.K. Bespoke shirts. Tailor4Less - "Affordable elegance." Founded in 2008, Tailor4Less has been created to bring tailored suits and shirts all over the world. We are the link between master tailors from Shanghai and you. Custom shirts from US$59. 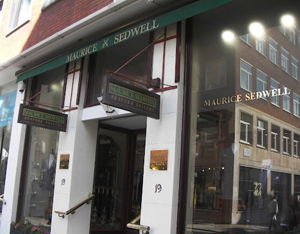 TURNBULL & ASSER - established 1885. 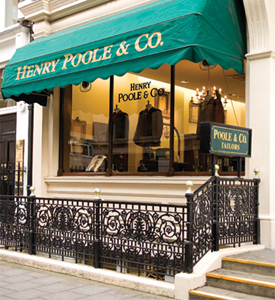 71-72 Jermyn St, London SW1Y 6PF, U.K. "There are few experiences more satisfying than pulling on a crisply laundered shirt that's been made for you, and you alone. Thanks to our precise measurements and exclusive fabrics, each bespoke design is a one-of-a-kind treasure that will last a lifetime. Over 1,000 different shirt fabrics alone are available to customers who wish to express their individuality through the clothes they wear. We take 18 body measurements, taking into account posture and any other special requirements you may have." UDESHI - made to measure & bespoke shirts. Shirts £255 (minimum 5). Unico - the new and exclusive made-to-measure service that offers the ANGELO GALASSO customer a new dimension in menswear – Italian traditional craftsmanship, combined with Angelo Galasso’s fastidious eye for detail. Naturally, no ANGELO GALASSO project would be complete without his signature high-collared shirt – every single element of the garment can be made to the client specification, from the cuffs to the contrast stitching and gold buttons engraved with the wearer initials will provide the finishing touch to what many have described as works of art. 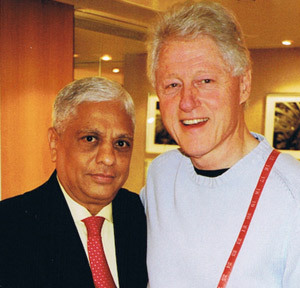 Universal Tailors - "Leading custom and bespoke tailor in Thailand." Each of our shirts is expertly sewn by a single tailor to your exact measurements, ensuring an exceptional fit and comfort. Hand made from finest cotton shirtings, each of our bespoke shirts is the ultimate in premium quality. VAN LAACK - "Perfect Look." Made to measure. Experience the first van Laack shirt that prevents wrinkles. The refined Swiss-made two-ply yarns smoothen themselves consistently while being worn defying the hectic pace of the day. The most beautiful side-effect is the time saved through the minimal and easy care it needs. W.H. TAYLOR SHIRTMAKERS - since 2006. 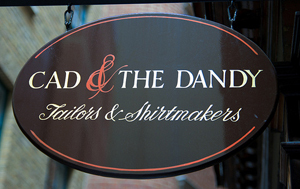 "The Home of individually handmade quality bespoke shirts." WILLIAM WESTMANCOTT - "Savile Row Tailor." An incredible amount of time and craftsmanship is used to cut, sew and perfect each shirt. On your first appointment, we will discuss your wants and needs and then you will look through the appropriate selections of shirt fabrics. We will discuss style and fit and I will take your measures and make a record of all of your specifications for your shirts. In Vienna, a Bespoke Tradition Thrives - International New York Times. Knize - "Tradition since 1858." KNIZE’S distinguished history began in the 19th century, when Habsburg Archdukes contracted its services. 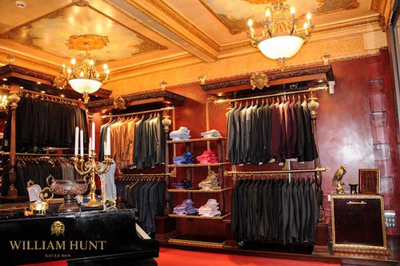 No other clothier in the world devotes more time to its suits than Knize. 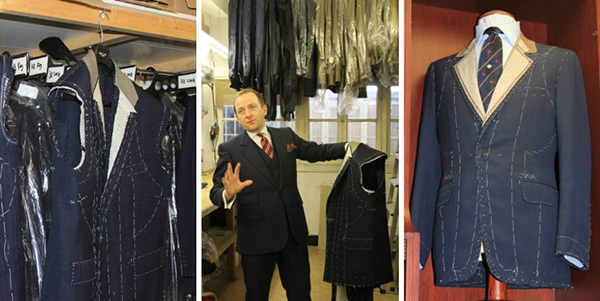 Ten days, 7.000 hand stitches, and the skill of Europe’s best tailor go into producing each Knize bespoke suit. WILHELM JUNGMANN & Neffe - founded in 1866. Retains its traditional atmosphere as it looks to the future. 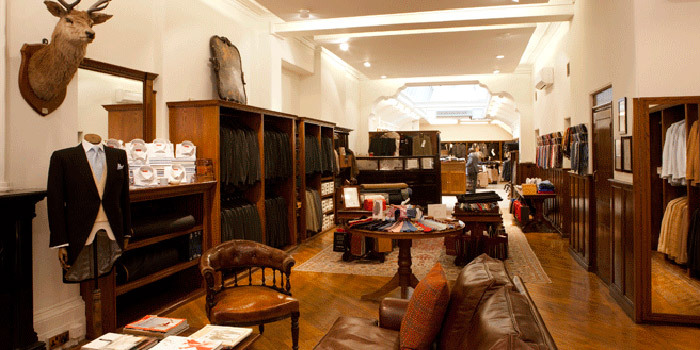 The company carries 1,200 fabrics, including fine suiting wools, Harris tweeds, cashmeres and even vicuña, and offers in-house tailoring in an oak-wood room filled with bolts of materials on shelves reaching up to soaring ceilings. BUTCH - "Butch Tailors has been manufacturing quality garments since 1956." Born a million garments ago. A million means lots of stitches, buttons and hours. In other words, tons of experience and hard work. Garrison Bespoke - "Toronto's Best Custom Suit Tailors." Also offers bulletproof three-piece suit lined with several ultrathin sheets of carbon nanotube material that can stop a bullet or blade. The suit is built to order and starts at C$20,000. CHARVET - founded in 1838. 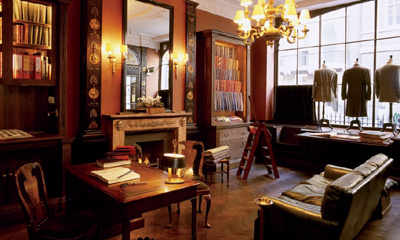 French high-end shirt maker and tailor located at 28 place Vendôme in Paris. Cutur - "Cutur was establishing in 1980s in Hongkong, with factory based in Shenzhen. 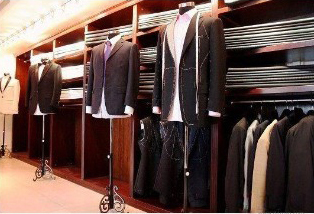 Throughout years of experience, we have grown as a supplier group focused on providing backup tailoring service for tailors around the world. Our one-stop service system completely relieves the front-stage operators from worries about the procedures. Cutur provides authentic made-to-measure service for the consumers." MoSanti Tailors by Pierre Mohan - since 1975. "Tailored for Success." Custom Suits, Custom Shirts and Formal Wear from a wide selection of English and Italian Fabrics with passionate attention to detail. 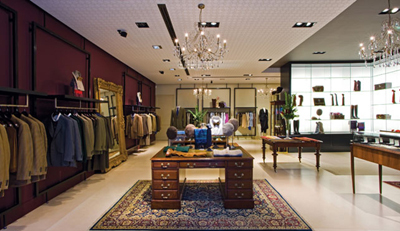 At MoSanti Custom Tailors we shop the world and carry the finest fabrics from renown designers such as Valentino, Hugo Boss, Dormeul, and Holland & Sherry, Zegna and many more. Over 28 precise measurements are taken, and individual patterns are cut in the fabric of your choice, with the advice of your own master wardrobe consultant who can advise you on every aspect of the design of your garments. Following your order, your garments are made in Hong Kong and shipped directly in approximately six to eight weeks. With our regular visits all over the U.S.A., we can deliver personal service to you on our next visit in your area. SAM'S TAILOR - "In Hong Kong, the reputed home of the 24-hour suit, a visit to Sam's is a tourist must, for VIP's and vacationers alike with a clientele seemingly culled from the pages of the International Who's Who. Its location in one of the smaller territories on earth is no bar to the patronage of kings, queens, presidents, prime ministers and widely assorted glitterati." W.W.CHAN & SONS TAILOR LTD. - since 1952 one of the original "Red Gang" tailoring lineages who has maintained the traditional processes and art of the creation of a bespoke men’s suit. 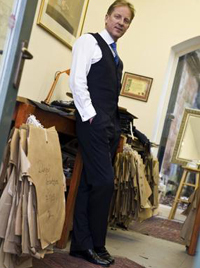 David Young Bespoke Tailor - since 1982. "With almost 45 years experience in the art of creating fine, tailored suits for clients world wide, David Young is one of the finest traditional craftsman in his trade." David trained under Peter Moore on Savile Row, London in the 70’s and decided to open his own business in Galway in 1982 where he has been successfully operating from to date. 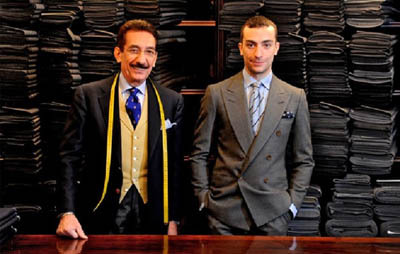 6 Tailors Who Have Shaped Italian Style - Esquire. BRIONI - "To be one of a kind." 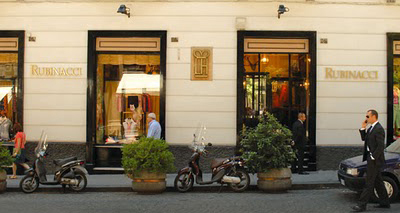 Italian fashion house founded in Rome in 1945. Boutiques in Asia, Europe, Middle East, North America. Among many others, favored by Donald Trump, Nelson Mandela, Eric Clapton, Al Pacino, Rudolph Guiliani, Richard Gere, Kofi Annan, Silvio Berlusconi and his friend Vladimir Putin. CANALI - since 1934. "To enjoy the quality of fine tailoring to the full, Canali also offers made to measure garments to its customers at boutiques in Milan, London, Amsterdam, New York, Beverly Hills, Miami, Shanghai, Hong Kong and Sydney." 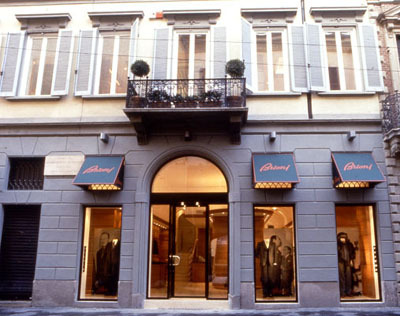 Caraceni - was founded in Rome in 1913 by the father of Italian tailoring, Domenico Caraceni. At one point in the 1930s, Domenico and his family operated ateliers in Rome, Milan and Paris. Today, there are several businesses going by the name "Caraceni" in operation. 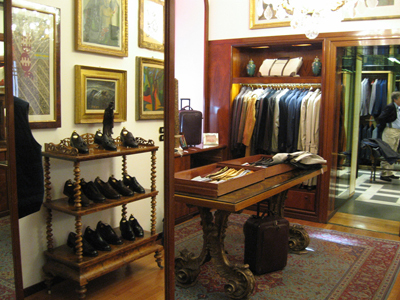 The original shop operates out of a small location in Rome with a very small workforce. This is run by Tommy and Giulio Caraceni, nephews of Domenico. There are three branches in Milan, all founded by offshoots of the clan, one even claiming to be the "real Caraceni." However, the cognoscenti consider A. Caraceni, currently operated by Mario Caraceni (son of Augusto) to be the best of the Milan branches. 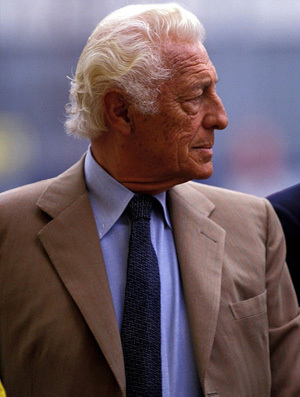 The various Caraceni "sartorias" have crafted handmade suits for various celebrities over the years, including Tyrone Power, Humphrey Bogart, Gary Cooper, Cary Grant, Yves Saint Laurent, Gianni Agnelli, Sophia Loren and fashion designer Valentino Garavani. The Caraceni label is also famous for dressing generations of The Kings of Greece and Italy, The Prince of Wales, Prince Rainier of Monaco, Italian Prime Minister Silvio Berlusconi and Aristotle Onassis. ERMENEGILDO ZEGNA - schedule an appointment in your country. Isaia - since 1920s. "The Neapolitan High-End Menswear Firm." LORO PIANA - since 1924. Loro Piana's stores in Italy and USA, as well as in many major cities in Europe and Asia, totalling 132 stores worldwide offers timeless made-tomeasure services for formal suits and more made by expert tailors using 1,500 variations of fabrics to choose from, including extra-fine merino wools, cashmere and baby cashmere, vicuña, and the finest silks. 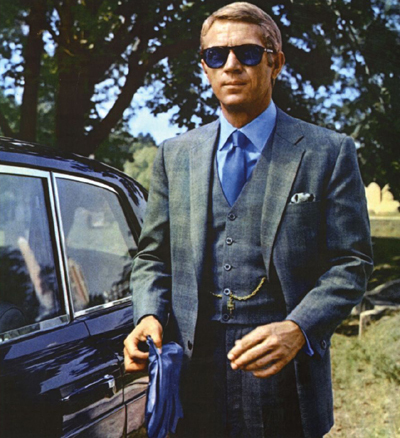 THE ITALIAN TAILOR, NAPLES, & THE NEAPOLITAN JACKET - Parisian Gentleman. Unico - the new and exclusive made-to-measure service that offers the ANGELO GALASSO customer a new dimension in menswear – Italian traditional craftsmanship, combined with Angelo Galasso’s fastidious eye for detail, results in an experience that is, as the name suggest, unique to each client. Unico goes beyond classing suiting to offer a wide range of customised shoes, shirts, ties, jeans and outerwear, produced in the finest Italian and English fabrics and leathers. 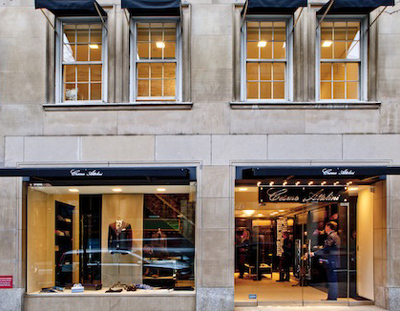 Every ANGELO GALASSO house offers a dedicated area where clients can discretely discuss their sartorial needs over a glass of Prosecco or a tumbler of whiskey. In an atmosphere reminiscent of couture ateliers of bygone eras, experienced tailors will take measurements and assist the customer in choosing from countless possible customizations. STEFANO RICCI - via dei Pescioni, 1. Flagship store: Palazzo Tornabuoni. Luxury men's clothing. A.CARACENI - since 1946. Via Fatebenefratelli, 16. Operated by Mario Caraceni, nephew of Domenico Caraceni, father of Italian tailoring. 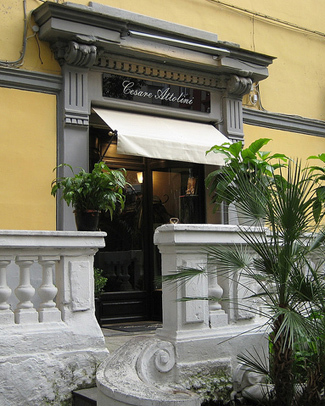 Cognoscenti consider A. Caraceni to be the best of the Milan branches. 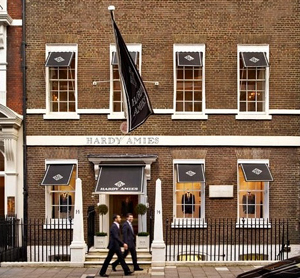 "If you're an Agnelli, a Hollywood scion, European royalty or merely wanting to pass as one, this is the place for you." - (The Wall Street Journal). BRIONI - via Gesù, 2-4. 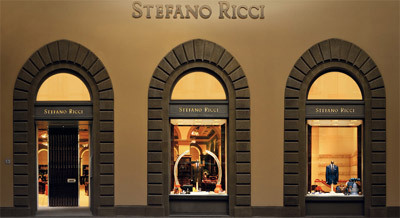 Italian fashion house founded in Rome in 1945. "To be one of a kind." CANALI - since 1934. "Fine Tailoring." CARACENI SARTORIA - since 1967. Via San Marco 22. 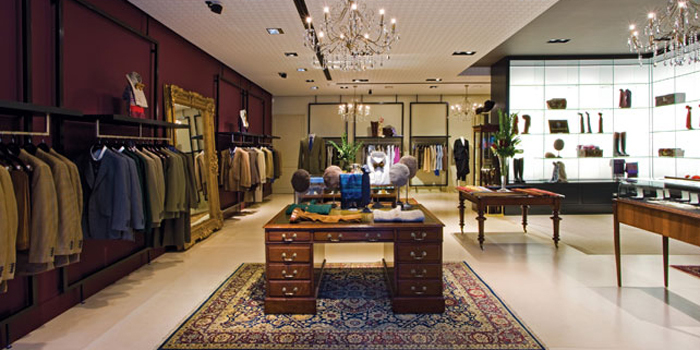 CORNELIANI - creates and delivers made to measure suits in all the world's cities. GIANNI CAMPAGNA - his creations attract some of the most prestigious names in Hollywood and on Wall Street. Isaia - since 1920s. "The Neapolitan High-End Menswear Firm." Flagship store: Via Verri, 8. KITON - via Gesù, 11. There are two lines of ready to wear suits, the "classic line", which retails for approximately US$7,000 to US$8,000, and the "CIPA 1960" line, introduced in 2010, starting at US$5,5000. 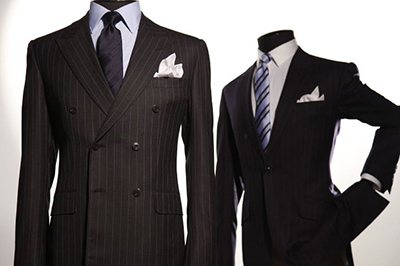 Made to measure suits reach above US$20,000 and up to US$50,000 for the "K-50" line. RUBINACCI - via Montenapoleone, 18. "The Rubinacci family, with its longstanding tradition dating back three generations, has been able to transform and incorporate all the theories and models of elegance into a unique style that is unparalleled and distinctive." SANTANDREA MILANO - made to measure suits. CESARE ATTOLINI - via Nazionale delle Puglie, 42. Since 1930. 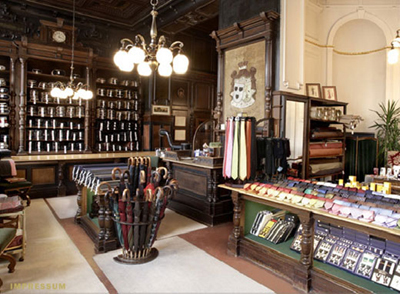 One of the most prestigious tailoring houses in Naples, Italy like Kiton and Brioni. The company was originally founded by Vincenzo Attolini in Naples in the 1930s. Synonym of Naples' tailoring tradition all around the world. Cilento 1780 - Via Medina, 61. Isaia - since 1920s. "The Neapolitan High-End Menswear Firm." Via Roma, 44. Piero Dimitri - since 1971. Men's custom tailoring made to measure luxury suits and custom accessories. RUBINACCI - via Filangeri, 26. 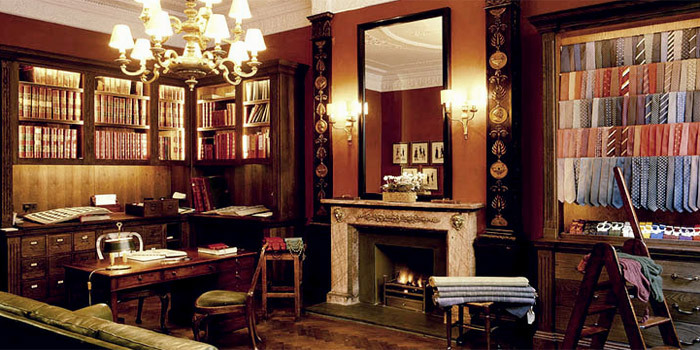 "The philosophy behind the Rubinacci salon was born in Naples, at the London House in via Filangieri. The historic facilities opened their doors in 1930. Gennaro Rubinacci, also known as Bebè, was famous for his refined sense of style and fashion, as well as for being an art collector." 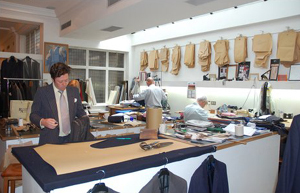 Sartoria Formosa - Neapolitan tailoring since 1951. Vico Cavallerizza, 37. Sartoria Napoletana Antonelli Lello - Via Montesanto. BATTISTONI - founded in 1946. GAMMARELLI - via S. Chiara, 34. 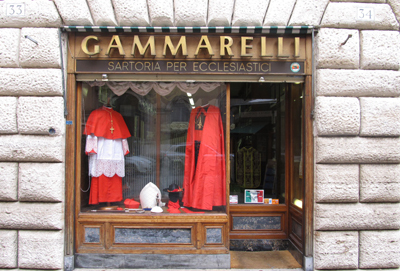 The Pope's tailor since 1798. RUBINACCI - "The Rubinacci atelier, at number 33 of via della Fontanella Borghese, in Rome, is focused on spreading the tradition of Neapolitan elegance and style. This atelier also works as a sort of salon, full of art pieces, silks and fine fabrics, where patrons can chat about arts and fashion." 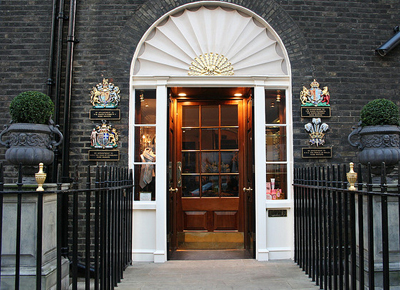 The Imperial Tailoring Co. - founded in 2003. "The best bespoke tailoring company in the eastern Europe." Sect. 130-132, Gostiny Dvor, 2, Rybniy pereulok, Moscow. Kinloch Anderson - 4 Dock Street, Leith, Edinburgh. "Experts in Kilts and Highland Dress since 1868. 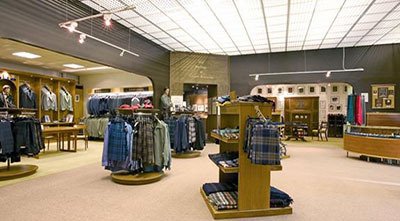 Kinloch Anderson supply the finest Kilts, Kilt Accessories, Scottish Tartans and luxury clothing and gifts." Burgos - Cedaceros 2, 28014 Madrid, Spain. "We offer you tailoring services with Lopez Herbon funded in 1918, actually in their third generation manage by Gonzalo Lopez Larrainzar, tailor of S.M.Spanish King as well of other prestigious people." 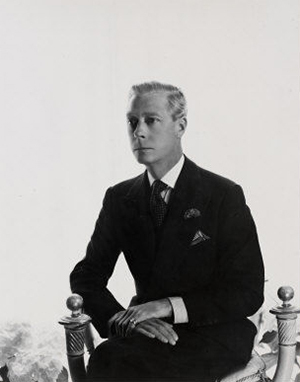 D. JosÉ MarÍa Reille - President of the Tailor's Club in Madrid. 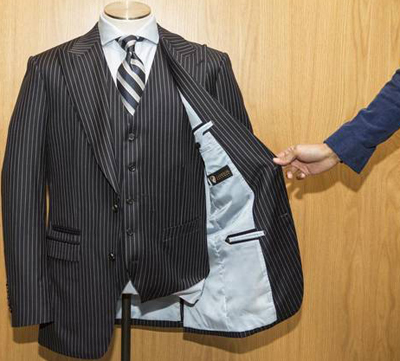 Suits run 2,000 to 3,000 (US$2,700-$4,200). Gonzalo Larrainzar - tailor of the spanish King. 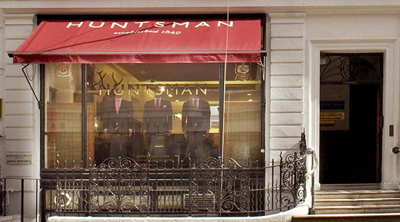 Suits start at 2200 (US$2,866) in Madrid. He also visits New York twice a year. 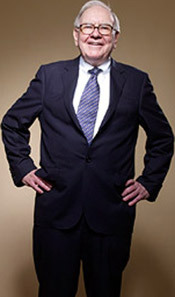 Suitart - "With class and style - the tailor-made suit of SuitArt." There's nothing better than your personal style. You look together with our consultant for the right upper-fabric, the fitting inner lining and many more details. You have the choice between a comely and an exclusive fabric-assortment. Because of the plentitude of the combinations and details, your suit will become absolutely unique. 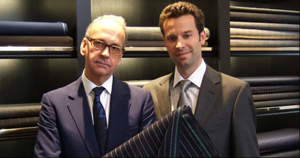 Narry Bespoke Tailors - since 1977. "Best Custom Suits in Bangkok." Having 3 locations allows us to offer bespoke suits in Bangkok and Phuket and feel we offer some of the best and most competitive tailor made suits in Thailand. Recognised in Thailand for their services to Tailoring, they are the only brand to have ever received the Golden Shield Award from the late Prime Minister of Thailand. Also online shop. 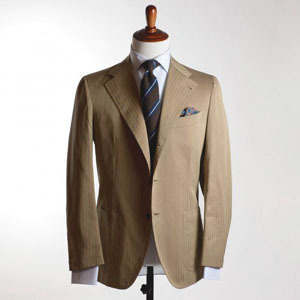 Universal Tailors - "Leading custom and bespoke tailor in Thailand." 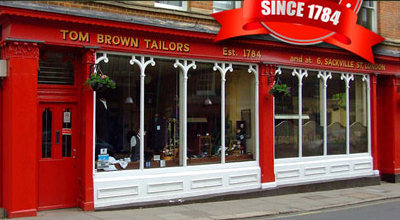 TOM BROWN TAILORS - (London & Eton). 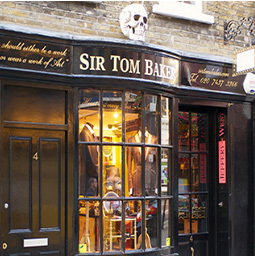 Established in 1784 and remains in the same premesis today at Number One, Eton High Street. Famous for making for Eton students (where it is still based) and therefore many Prime Ministers. 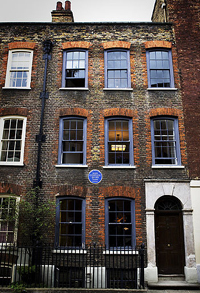 6 Sackville Street, London. MASTER TAILOR - founded 2004 by Harold Rose. 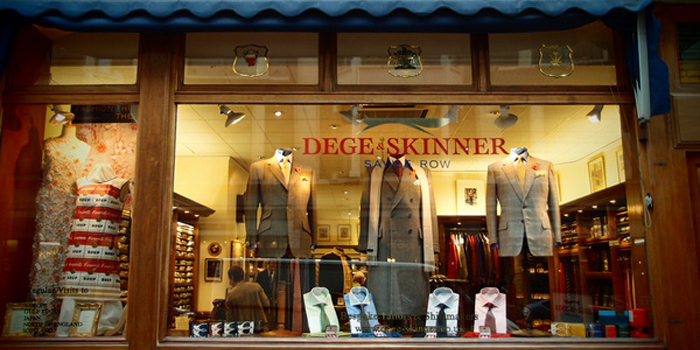 Bespoke, made-to-measure designer suits, business suits and dinner suits. 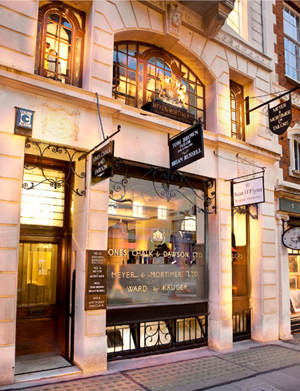 SAVILE ROW is a shopping street in Mayfair, central London, famous for its traditional men's bespoke tailoring. The term "bespoke" is understood to have originated in Savile Row when cloth for a suit was said to "be spoken for" by individual customers. 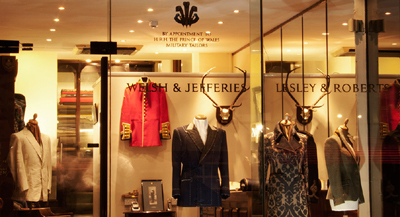 The short street is termed the "golden mile of tailoring", where customers have included Winston Churchill, Lord Nelson and Napoleon III. 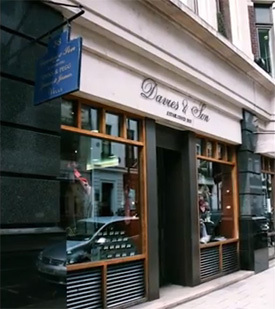 Savile Row runs parallel to Regent Street between Conduit Street at the northern end and Vigo Street at the southern. Linking roads include Burlington Place, Clifford Street and Burlington Gardens. Savile Row was built between 1731 and 1735 as part of the development of the Burlington Estate, and is named after Lady Dorothy Savile, wife of the 3rd Earl of Burlington. It originally ran from Burlington Gardens (then Vigo Lane) to Boyle Street, with houses only on the east side, but in 1937–8 it extended to Conduit Street, and in the 19th century houses were built on the west side. 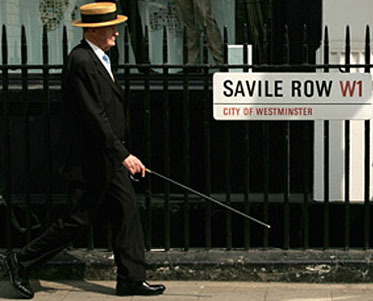 BERNARD WEATHERILL - 8 Savile Row. Founded in 1910. 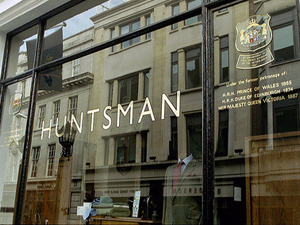 LANDMARK TAILORED SUITS - computer-aided made-to-measure suits starting at a highly competitive and affordable £499. 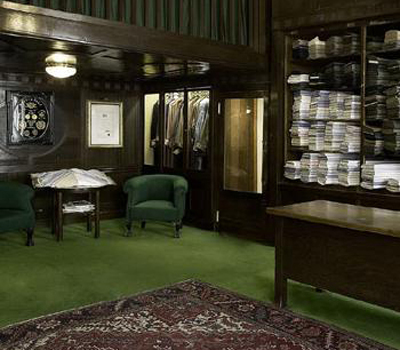 GASSANE TAILORS - former US President George W. Bush's tailor. 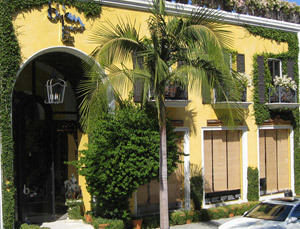 BIJAN - by appointment only. 420 N. Rodeo Drive. DOMENICO VACCA - custom made. 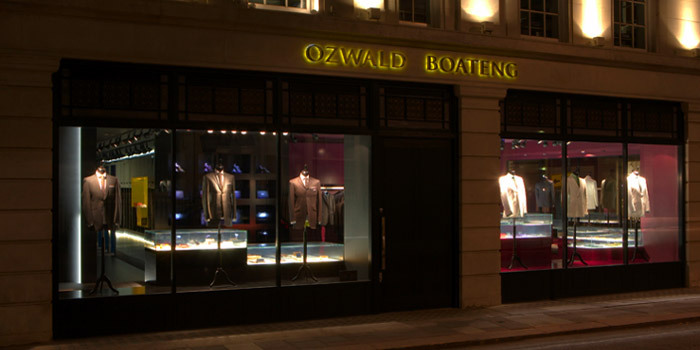 Zaharoff - offers fine tailored bespoke and made-to-measure clothing for that perfect fit. 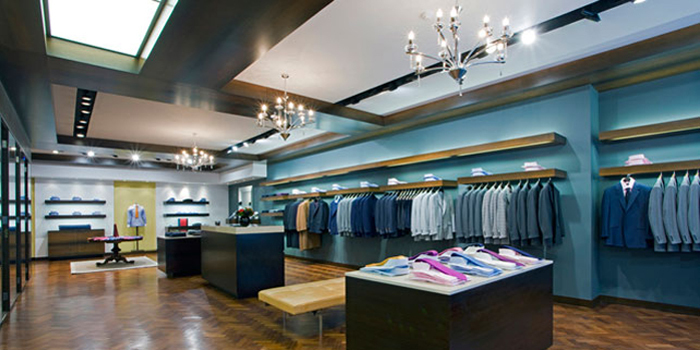 Inquire here or in person at the Zaharoff Flagship Store at 110 East Oak Street. A. Sulka & Co. - (1895-2002). 430 Park Avenue at 56th Street. 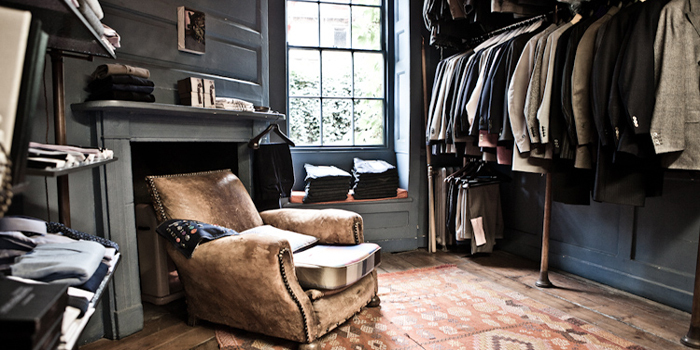 "Sulka, Haberdasher to Royalty, Is to Close Its Last Shop in U.S." - International New York Times. 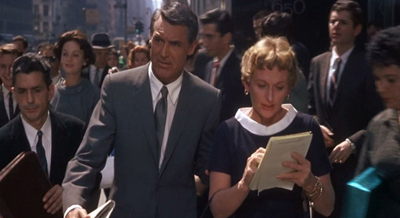 Alan Flusser - "The clothes Alan created for me in Wall Street elicited the most attention and applause of any costume design done for any of my films." - Michael Douglas. Cesare Attolini - since 1930. Synonym of Naples' tailoring tradition all around the world. Now on 798 Madison Avenue, at the corner of 67th Street in Manhattan. GILIBERTO DESIGNS - since 1979. Custom made suits. Henry Stewart - (1904-1993). 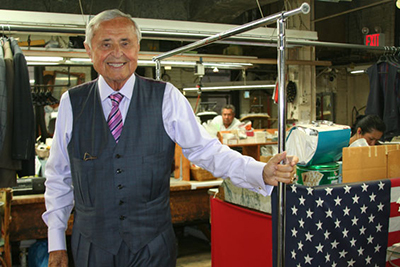 Master tailor of fine men's clothing for more than seven decades. Clients included Robert De Niro, Harrison Ford, Lee Marvin and Paul Newman. J. LUCAS CLOTHIERS - "Fine Custom Clothing." J.PRESS - "Loyal to the Great American Male." 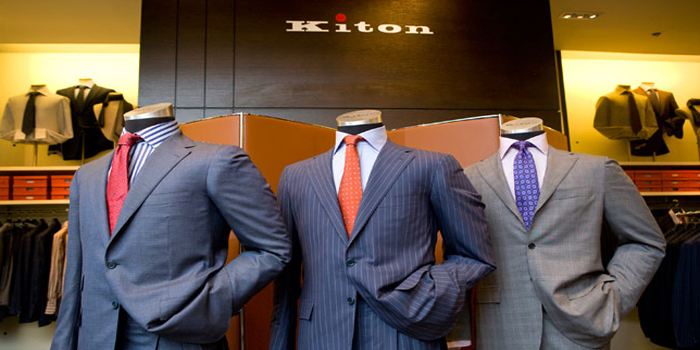 KITON - most famous suit model is the "K-50" costing up to US$50.000. MICHAEL RESLAN - 689 Fifth Avenue, 15th Floor, Penthouse. By appointment only. MORTY SILLS - Gordon Gekko's fictional tailor. NINO CORVATO - Italian master tailor. RUBINACCI - at Rosewood Carlyle. "Luca Rubinacci visits the hotel each month to bring the latest novelties for all the enthusiasts. He also has suite available so that the Maison’s customers can schedule an appointment with him to select the best fabrics, garments and shirts." The Alan Flusser Custom Shop - 3 East 48th Street, 3rd Floor. THOM BROWNE - black tie / tailoring made to measure clothing program. Vincent Nicolosi - Madison Avenue. WILLIAM FIORAVANTI - 45 West 57th Street. Mr. Fioravanti is the innovator of the "Power Look." The Custom Shop Clothiers - since 1937. 372 Sutter Street. "Any Size. Any Style. Any Fabric" The Custom Shop has had the pleasure of servicing many top professionals, distinguished political figures, T.V. personalities and many more well know men across the country and the world. 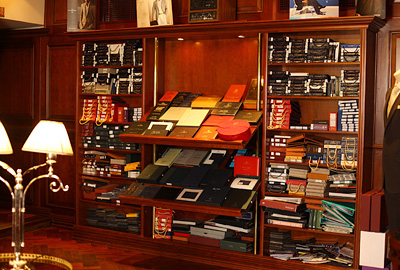 The Custom Shop Clothiers - since 1937. 1033 Connecticut Ave. N.W. "Any Size. Any Style. Any Fabric" The Custom Shop has had the pleasure of servicing many top professionals, distinguished political figures, T.V. personalities and many more well know men across the country and the world.